I have goals and dreams that I want to fulfill this year. Some of them are pretty big so I want to share them with my circle to get their support. Sounds cool right? Yes, it’s cool to share goals and projects with people you trust. You want them to support and encourage you to carry on. However, there are times where people are unable to support you without sharing their opinions. You don't have to understand to be supportive. It’s heartbreaking to have your goals and dreams crushed in general. 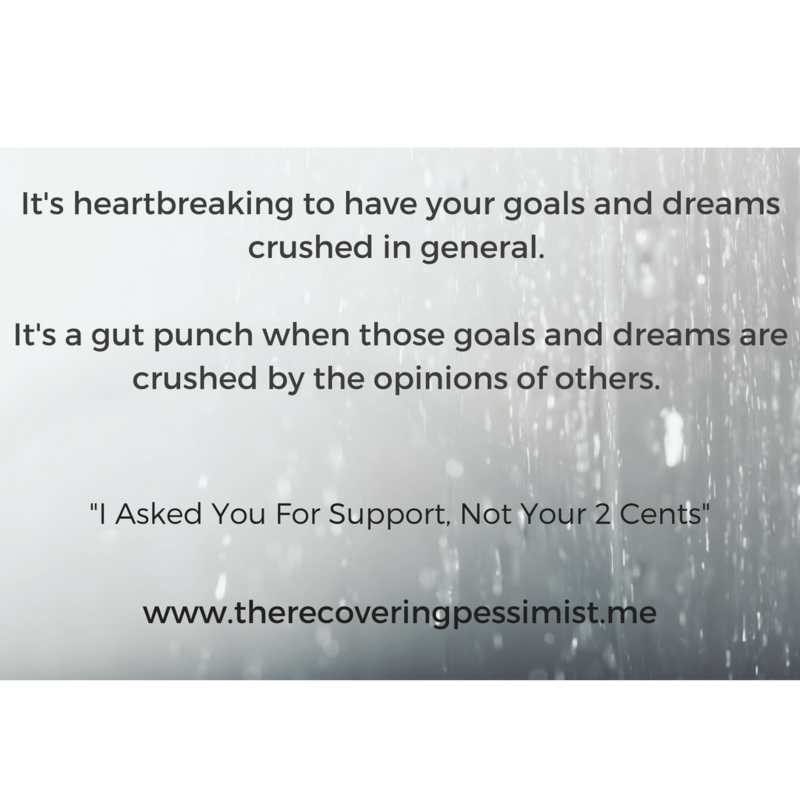 It’s a gut punch when those goals and dreams are crushed by the opinions of others. If you’ve ever experienced that, you know what I’m talking about. If you’ve never felt that, I hope that you never have to experience it. And if you’re one of those people who give their opinion and not support, please understand that if someone wanted your opinion, they’ll ask for it. If they don’t ask for it, keep it to yourself, okay?